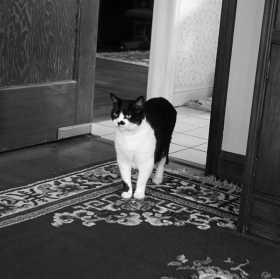 Large black and white neutered male with a black spot on his nose. He is usually afraid of strangers and may be hiding somewhere. He doesn’t have a collar but is microchipped.